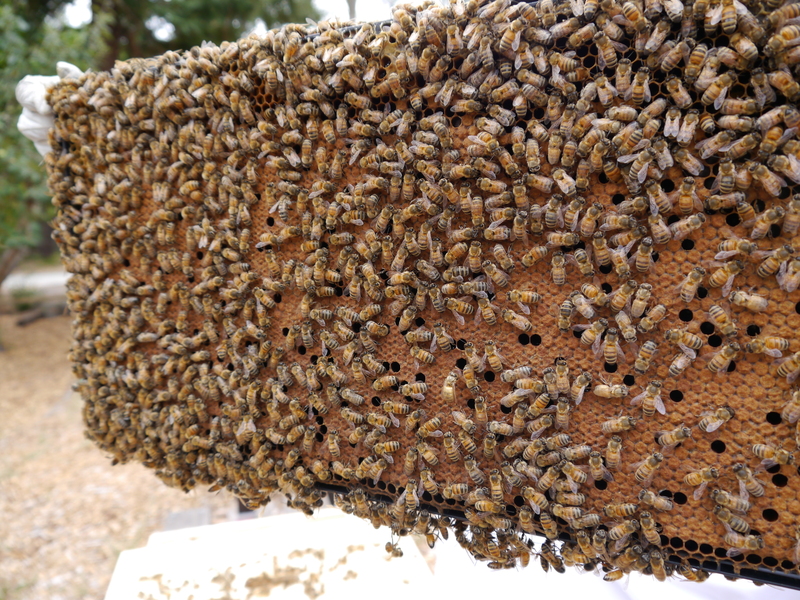 I know it’s been awhile since I wrote about my bees, and although this post shares info about bees, it’s not about my bees. But don’t let that stop you from reading. I promise the link to the article I’m sharing is worth a read! Thankfully my bees are doing great! I quickly checked on and fed them over the weekend. I was very excited to see how much comb they’ve built and they continue to grow. The Verbena hive already has lots of honey stored for the winter! The Cosmo hive is younger so they have some catching up to do! I’ve had less time to write because I’ve been working as a volunteer analyst with LymeLight Foundation, and that project continues to need my full attention until the end of this week. I’m grateful to be able to assist a group that gives kids grants for treatment. Here’s the post I mentioned from Serious Eats on how honey gets made. I hope you enjoy the information and pictures as much as I did. Next week, I will have a post about my bees! Categories: Beekeeping Info | Tags: Beekeeping, Honey, Save the bees | Permalink.